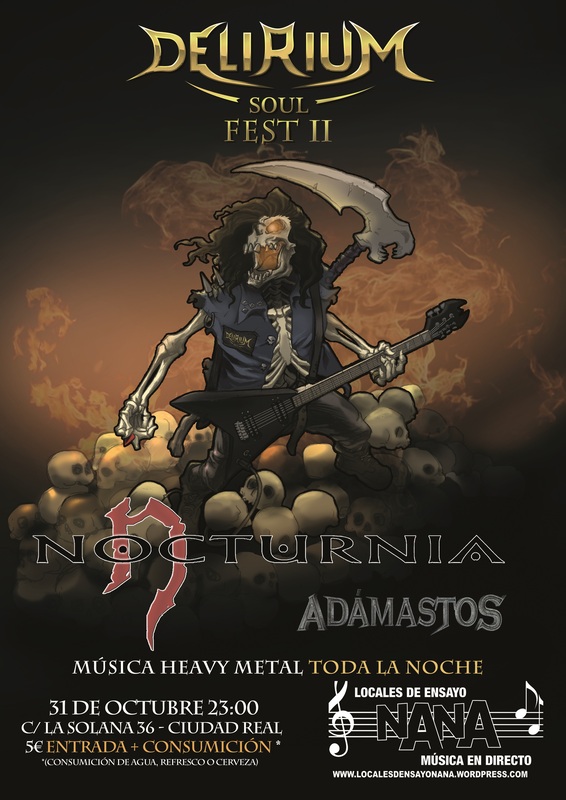 ESTA NOCHE EN SALA NANA A LAS 23,00 H TENEMOS A NOCTURNIA EN DIRECTO !! GRUPO CON UNA DILATADA TRAYECTORIA Y GRAN CALIDAD !! ACOMPAÑADOS EN LO QUE ES EL SEGUNDO DELIRIUM SOUL FEST POR ADAMASTOS Y DELIRIUM SOUL !! HABRA TAPEO Y SORTEOS!! GRAN NOCHE DE HEAVY METAL ª! !